As we have reported you earlier that Microsoft is pulling out their Windows XP support after April 8 2014. Since a vast majority of bank ATMs around the world currently runs on Windows XP, but if they’ll continue sticking to it after the deadline, then they’ll be exposed to all kinds of security threats, as Microsoft will no longer provide the security patches thereafter. Many countries’ Banks have got a way out, many banks have arranged or are in the process of arranging extended support for Windows XP for which they are ready to pay Microsoft millions of dollars, but may be not in the case of India. Yes, India will never feed Microsoft for providing extra support to the older version; rather they could switch over to the Linux operating system. India has around 115,000 ATMs across the country at present and the counts will go up in coming days, but the end of life for XP will not affect banks and functioning of ATMs as the financial institutions across the country are well prepared for life without the much popular OS, according to the Indian Banks Association (IBA). ATMs will continue to run the outdated system for some time past the expiration date, thanks to Windows Embedded powering ATMs, cash registers. According to Microsoft, Windows XP Embedded is less susceptible to viruses, and the company is providing support for it until early 2016. IBA says neither branches nor cash vending machines will be shut down once Microsoft stops support for the system from April 8. Many Banks have already moved to Windows 7, or are in the process of moving, which will require hardware upgrades and some are considering to choose Linux. 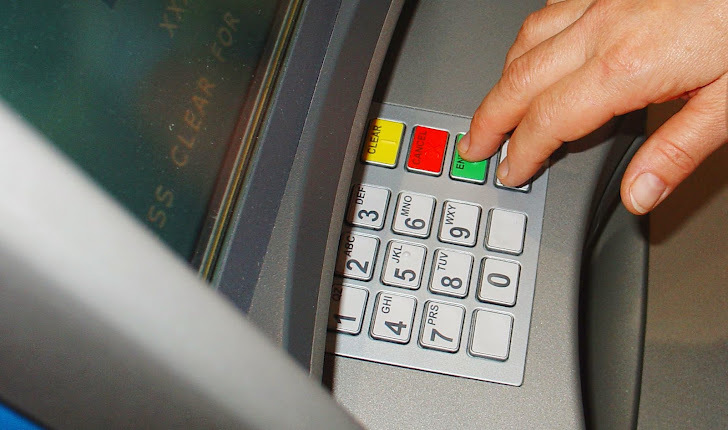 These hardware upgrades and software enhancements might be a costly headache for ATM manufacturers and banks, but the improvements are a win for customers who use these machines on a daily basis. "Banks are definitely well-prepared and the industry is seized of the matter. I am very sure that you will not see a problem where ATMs or bank counters are shut because of this," said the industry lobby's chief executive MV Tanksale at an event in Mumbai. "Only the old ATMs may face some problem as all the newer machines are running on newer platforms," he added. Indian banks do not themselves operate their ATMs, rather outsource them to third-party vendors like Diebold and NCR. Girish Chavan, national manager of Diebold said, "all ATMs are not connected to the Internet so a hacker would need to reach it through the bank’s network,....and to breach a bank’s firewall is not easy.” But maybe firms are underestimating the tactics of hackers and cybercriminals, who are always one step ahead in hacking ATMs and defeating all current security mechanisms. A few months back it was revealed at the Chaos Computing Congress that hackers in Europe are targeting ATM Machines using Malware-loaded USB drives to steal money. The malware infection rate for Windows XP is already almost six times higher than Windows 8 systems. So, to switch on to the other operating system will benefit the organizations and financial institutions. Moreover, Indian ATM manufacturer Vortex offers a low-power Linux based system called Ecoteller, for example, that's being used in developing countries. The Reserve Bank of India had highlighted the issue on Tuesday, saying banking operations may be hit once the Windows XP gets phased out. "Banks are definitely well prepared and the industry is seized of the matter. I am very sure that you will not see a problem where ATMs or bank counters are shut because of this," chief executive MV Tanksale said. "The probability of attacks on such a system may increase and it may be difficult to defend such attacks in the absence of Microsoft support," RBI had said in a circular to banks. The Tamil Nadu State Government's has recently advised all its departments to move on to free open source software BOSS Linux as a key benefit of it will ultimately be a huge saving to the government. "Consider installing BOSS (Bharat Operating System Solutions) Linux as one of the mandatory operating system," said the order issued by the TN Information Technology Department. "The huge investment cost involved in purchasing closed source software (such as Windows XP) may be avoided, which in turn translates into huge savings for the government," the order stated. So, if your Bank is planning to upgrade their ATMs, should it be Windows 7/8 or Linux? ?